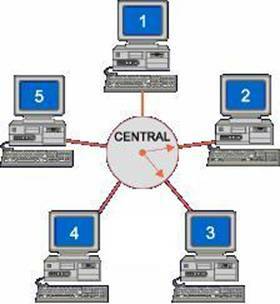 A star network is a local area network (LAN) in which all nodes (workstations) are directly connected to a common central node. Every workstation is indirectly connected to every other through the central node. In some star networks, the central node can be a workstation or server. Switches and hubs are used to create star networks that do not require a computer at the centre. This type of network uses twisted pair cable with RJ-45 connections.